We endorsed Hillary Clinton early. We didn't bother having a real vote, but chose rather to use a poll, initiated by AFT leadership. Now everyone I knew was sure Hillary would get the endorsement, and she did. Not one person I know was surveyed. The AFT claimed it was scientific, but shared no details as to why. I voted for Hillary, eventually, but I really loved Bernie Sanders. Now Bernie wasn't perfect, particularly regarding my main issue, education, but it looked like he cared about us in general. Who's not tired of dealing with co-pays and all that nonsense? A family member of mine was hospitalized last year, and we're still dealing with bills, payments that were made and not recorded, and various threats to ruin our credit over bills we'd be happy to pay, if only we knew they hadn't already been paid. Who wants Americans to go bankrupt over catastrophic medical emergencies? Obamacare is not bad in that my daughter is covered until 26, and people can no longer be denied insurance due to pre-existing conditions. But alas, the recalcitrant GOP wants to see it fail, and refuses to cooperate with the President to improve it. The solution is not a little adjustment, but rather a single-payer system that covers all Americans. Obama did the best he could, and now what little progress he made will be reversed. It doesn't matter that his program is essentially what the GOP offered to President Clinton. People wanted hope and change, and they still do. We chose Barack Obama because that's what he represented. Hillary never embraced that mantle. She represented More of the Same. That was her brand. For months, on Facebook, people for whom I'd previously had great respect insinuated I was a wild-eyed lunatic. They called us "Bernie Bros," like we were a bunch of witless thugs. They posted nasty and stereotypical stories. We were a bunch of crazies because we wanted affordable college and a living wage. Hillary was the safe alternative. She didn't look wild. She'd been around forever. She'd done this and that. Decades ago, she worked with some organization or other that helped children. Most importantly, she and Randi Weingarten had been BFFs forever. So the organization to which you and I pay dues but have no vote, the organization which has no representation whatsoever elected from NYC high schools, has spoken. You all love Hillary, it decided. But we didn't. I didn't. I voted for her because her opponent was a vile worm. But I wasn't enthusiastic at all. The whole no enthusiasm thing is what got Donald Trump to be President. Now we've seen bad decisions before. Weingarten presided over the election that gave us Bloomberg, going from one candidate to the next like musical chairs. She then failed to endorse against him term 3, leaving Bill Thompson so far in the lurch that he later told the Daily News the city couldn't afford teacher raises. 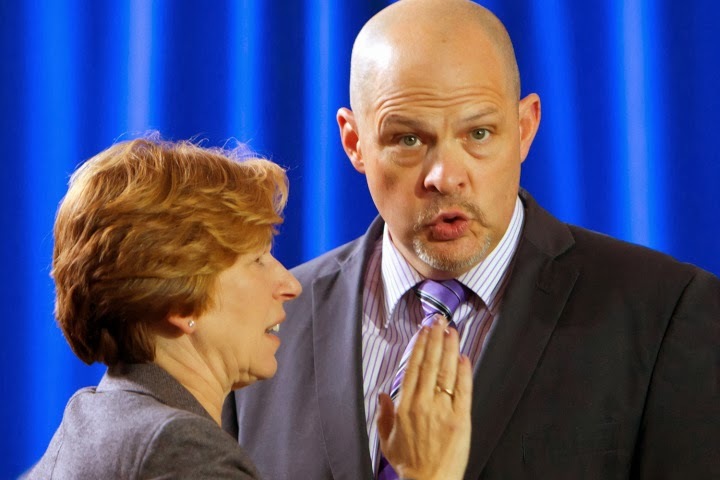 Then UFT endorsed Thompson against a surging Bill de Blasio. It was certainly easy for me to support de Blasio against a guy who'd publicly declared that teachers shouldn't get the raises NYPD and FDNY got. But you always wonder whether de Blasio would've treated us better if we'd been with him from the start. Would we be waiting until 2020 for money our brothers and sisters got in 2009 if we'd chosen correctly? Who knows? More recently, someone in UFT told me that the early choice for Hillary was a wise one because she'd owe us. OK, I thought, and I actually went to make calls for her. But the circuits were overloaded or something and I got turned away. Maybe it was a sign. But we screwed up again. The American people, like me, are hungry for someone who will devote something more than lip service to our urgent needs. Con man Donald Trump persuaded enough people in the heartland that he was better at that than Clinton. And millions who came out for Obama took a nap while Donald Trump took the Presidency. Maybe building brick walls around union activists motivated by more than patronage is not the way to go after all.